Carlos Ghosn’s impending release from a Tokyo jail is in jeopardy after prosecutors appealed a decision granting bail to the fallen car titan after 107 days in custody. The prosecution responded just hours after a Tokyo court approved the release of the former Nissan Motor Co. chairman on bail of 1 billion yen ($8.9 million). The authorities didn’t disclose the reason for their appeal. Being out on bail would allow Ghosn to spend more time with his defense team and prepare for a trial that’s still likely months away. Ghosn -- accused of aggravated breach of trust and filing false statements to regulators regarding about $80 million in deferred income during his time as the automaker’s chairman -- could face a decade in prison if convicted. But the prosecution has pushed back on Ghosn being released before, warding off two previous bail attempts. Even if their latest appeal is defeated, prosecutors can arrest Ghosn on new charges to ensure he stays incarcerated. At the very least, the prosecutors’ appeal means Ghosn likely won’t be released Tuesday, said Stephen Givens, a law professor at Sophia University in Tokyo. Ghosn’s lawyers said they won’t post his bail unless the prosecutors’ appeal is rejected, and any release likely would happen Wednesday or later, Kyodo reported. To get his bail application approved, Ghosn agreed to stay in Japan, have cameras set up in his house and not contact people outside. Ghosn’s arrest and imprisonment rocked the world’s biggest auto alliance -- comprising Nissan, Renault SA and Mitsubishi Motors Corp. -- at a time when the industry globally is wrestling with an array of challenges, from slowing sales in key markets such as the U.S. and China to long-term technological change that requires massive investment. Nissan reduced its full-year earnings forecast after its third-quarter profit missed analysts’ estimates, and the company’s debt rating was cut by S&P Global Ratings to A- from A.
Ghosn, the glue binding the alliance together since he took command in the 1990s, was the chairman of all three companies but was removed from those positions after his arrest. In prison, Ghosn has endured continuous interrogation by prosecutors and had only limited contact with his legal team. The case has put Japan’s justice system under a spotlight, and it has been criticized for its heavy reliance on defendants’ confessions, which often are made without a lawyer being present. Hironaka previously said the case raises questions about the fairness of Japan’s legal system, repeating a statement by the International Federation for Human Rights. He also has suggested the arrest was the result of a conspiracy inside the automaker, though he didn’t name any Nissan officials. 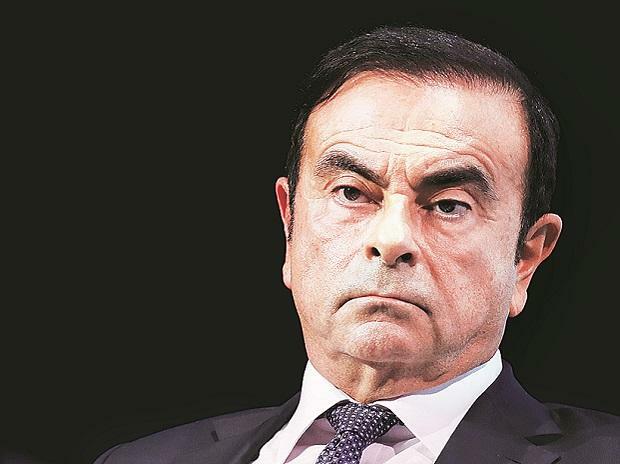 Ghosn’s downfall, as sudden as it was unexpected, has roiled the carmaker’s two-decade alliance with France’s Renault SA, which he dominated as chairman of both companies and of the entity that governs their partnership. “Nissan does not have any role in decisions made by courts or prosecutors, and is therefore not in a position to offer a comment,” Nicholas Maxfield, a spokesman for the carmaker, said in an emailed statement. Confronting a Japanese legal system with a 99 percent conviction rate, Ghosn last month replaced a defense team led by former local prosecutor Motonari Otsuru with one overseen by Hironaka, who is known for aggressive tactics defending high-profile clients such as a former senior bureaucrat accused of corruption. Authorities in Japan are investigating Ghosn’s business dealings globally, including in the Middle East and Europe. Nissan approved arrangements for the purchase of several homes used by Ghosn, including those in Brazil and Lebanon, he said in a January interview with Japan’s Nikkei newspaper.